Lachmi Khemlani, founder and editor of AECbytes. AECBytes has reviewed Nemetschek Allplan 2013. The full article and links can be found here. Allplan 2013 is the latest release of Allplan, Nemetschek’s flagship CAD application that also includes BIM capabilities. Allplan has both architectural and structural design capabilities. Pros: Extensive repertoire of powerful and sophisticated tools for CAD, 3D solid and surface modeling, and building modeling; distributed nature of project data makes collaboration easier; integration with other Nemetschek tools including Cinema 4D; strong support for interoperability including IFC; several useful enhancements in the latest release including new rendering and visualization options, the availability of parametric content accompanied by a scripting capability to create custom smart objects, native support for 64-bit systems, and an improved user interface; ability to create and distribute drawing layouts through integration with Allplan Exchange; greatly improved documentation including a QuickStart tutorial for learning the application. Are you looking for a BIM-Software; a CAD program for architecture and civil engineering, a TAI Software for cost management or a facility management solution? Then take a tour and let our software solutions and services convince you! 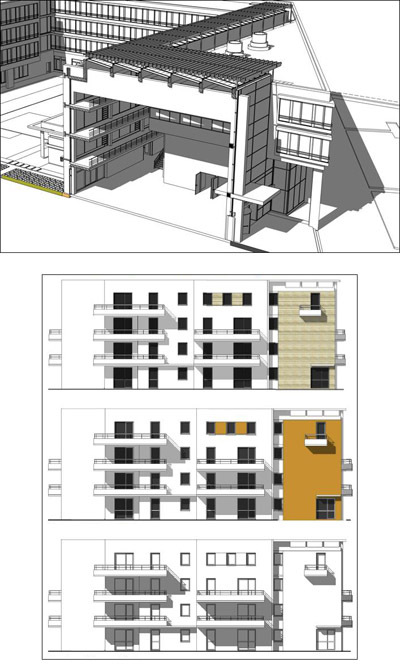 This entry was posted in BIM Software, IFC and tagged Allplan on April 13, 2013 by rumbelom.